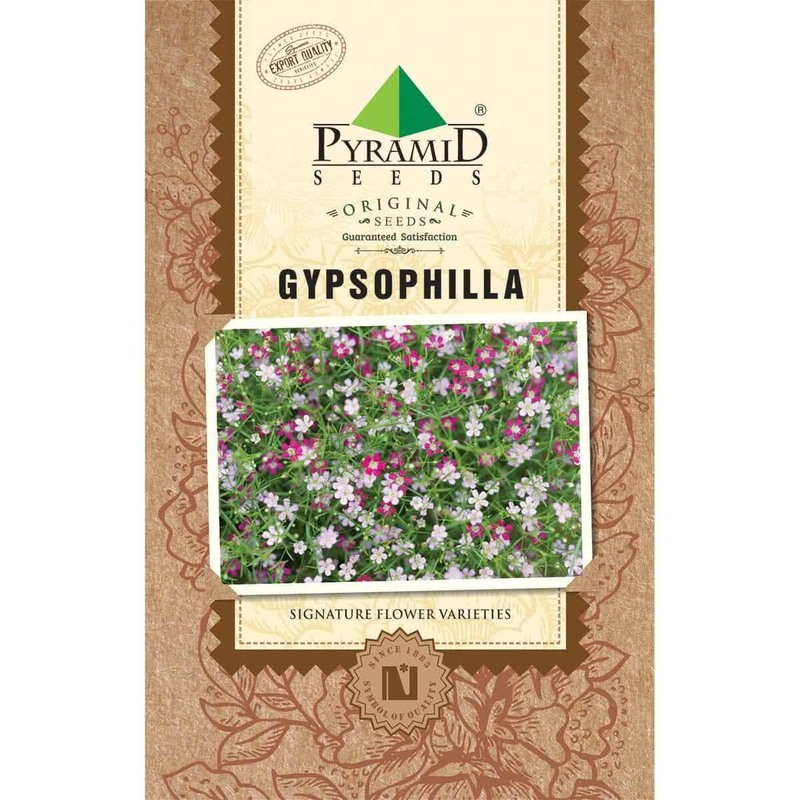 Gypsophila plants from this genus can be hardy annuals or perennials. They have wire-like stems and linear / triangular leaves. They bloom from late spring to summer and carry small massed flowers of white. Introduction and Uses: A dwarf, slender, lance-shaped, grey-leaved annual, bearing clusters of small (0.5 to 0.6 cm across ), white or pink flowers. The flowers look like sprays of mist and are extensively used for flower arrangements and bouquets. It is grown in flowerbeds, borders, rock gardens and to cover open spaces in a shrubbery. 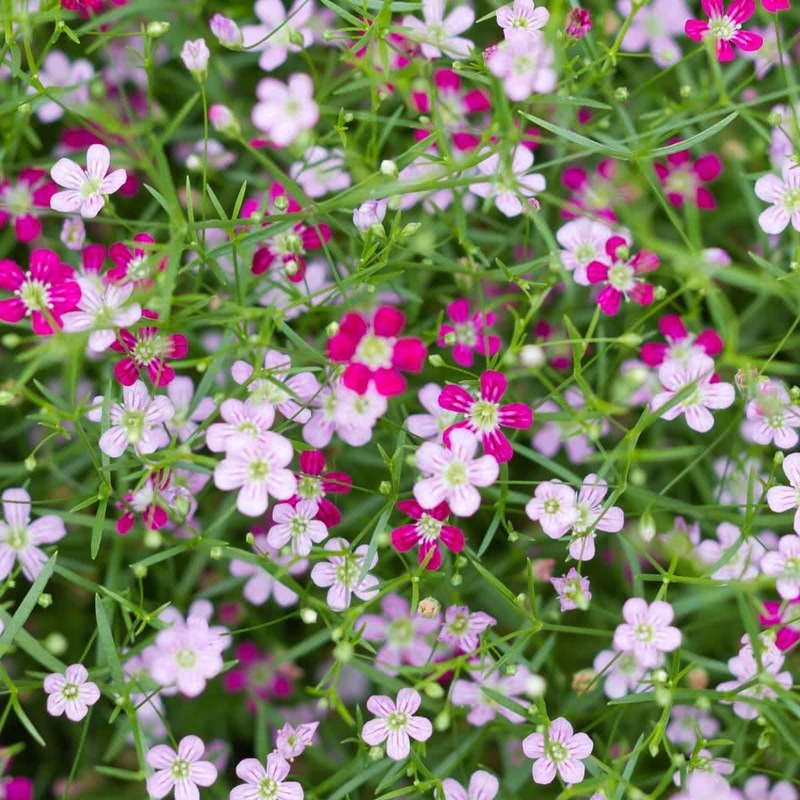 Gypsophila is grown by direct seed sowing in pots, containers, and flower beds. Best time to sow seeds is in September-October for winter flowering. As the plants are short-lived, to obtain a succession of blooms, sowing should be repeated at 2-3 weeks intervals. Transplant the seedlings in pots or flower beds after about a month. Transplant the seedlings in high-quality rich soil or potting mixture. Planting Distance: 20-25 cm apart. Watering: Daily light watering is needed for Gypsophila plants. Feeding: The soil should have sufficient amount of lime in it. Plant care: As rabbits are fond of this plant, necessary protection should be given. Click here to buy plant care products online in India. Bloom time: The plant blooms about 2.5 months after sowing. Buy variety of flower seeds online.